NGOs (non-government organizations) Natural Solutions Foundation and the Institute for Health Research have joined with "The World’s #1 Anti-Vaxxer" Kent Heckenlively, California Attorney-at-Law, to file a formal Administrative Procedures Act (APA) Petition with the Food and Drug Administration (FDA) at Regulations.gov demanding that FDA immediately suspend all vaccine drug approvals for 30 years of violating the 1986 National Childhood Vaccine Injury Act. The Natural Solutions Foundation and the Institute for Health Research have joined forces with the World’s #1 Anti-Vaxxer, Kent Heckenlively, California Attorney-at-Law. Counsel Heckenlively is the father of a seriously vaccine injured child. He is well-known for crusading world-wide for Informed Consent. Highlighting the growing vaccine truth censorship he has been banned from Australia and other countries for his Informed Consent advocacy. Furthermore, the same 1986 statute requires that every vaccine be safer and more effective than the previous ones. FDA has never tested a single vaccine for safety and effectiveness, relying on industry data from an industry relieved of all liability responsibility by that same law. The result is a mis-branded, unapproved cocktail of unproven drugs now being increasingly mandated in violation of internationally and nationally protected rights to refuse any and all medical procedures known collectively as the Right of Informed Consent. Vaccines have been ruled ‘unavoidably unsafe’ by US Courts and the government has been forced to pay out more than $4 Billion US in compensation for vaccine injury or deaths in the Special Vaccine Injury Court set up by the 1986 legislation. 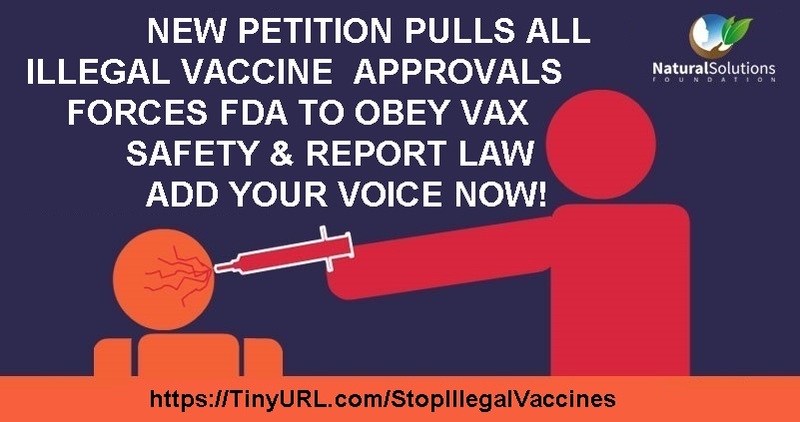 The Petitioners hold FDA has knowingly violated the law and that no vaccine approved under those violations can be a legal biological drug. As an illegal substance, FDA is required to cancel approval for each illegal substance it had previously approved. 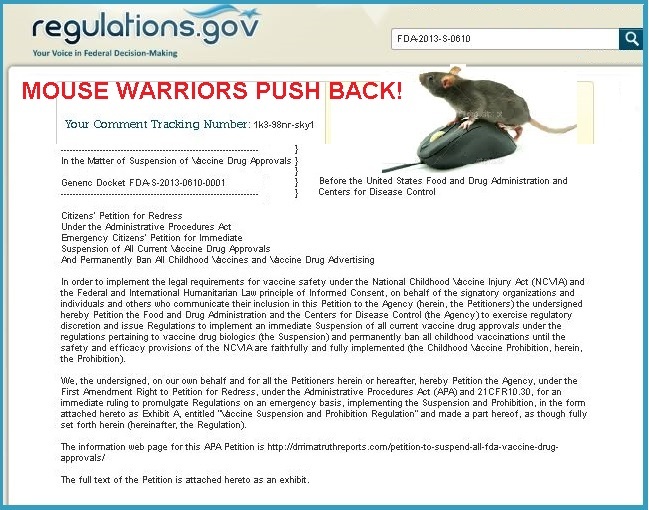 FDA failure can result in court intervention.